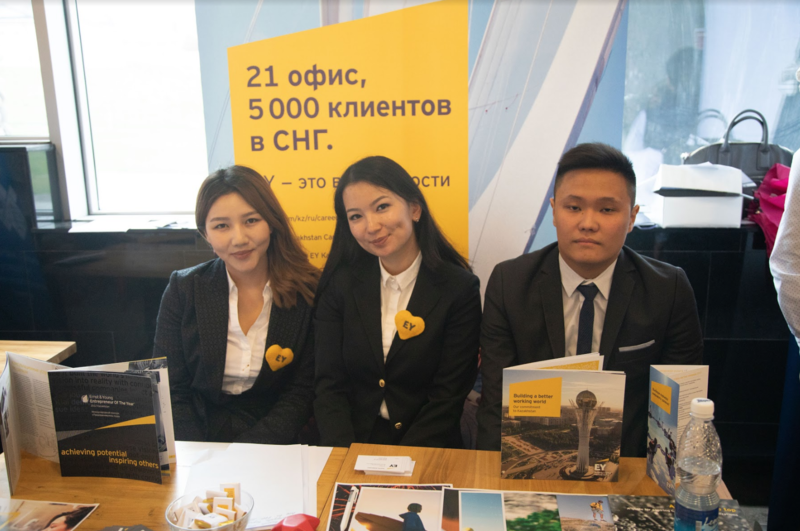 AUCA Career Fair went international! 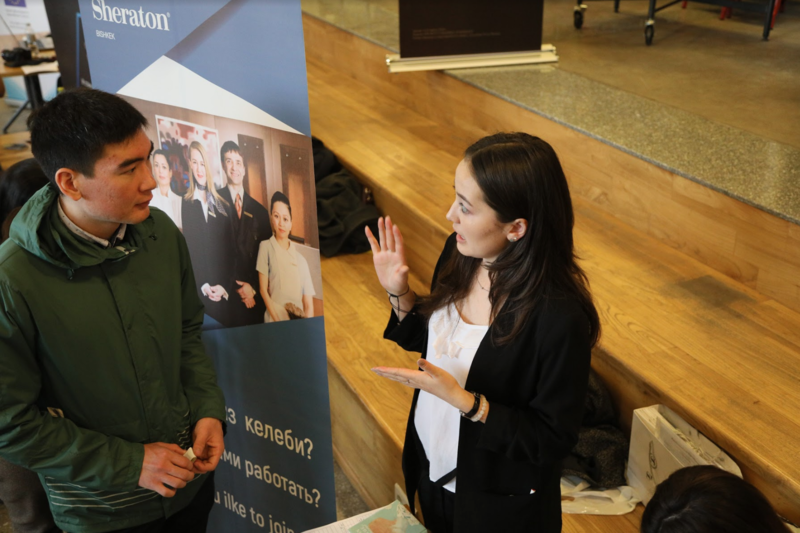 On Saturday, April 6, the Career Fair 2019: GO DIGITAL !, took place at the American University of Central Asia, which brought together 75 largest companies, over 1 000 visitors, and the latest engineering developments! 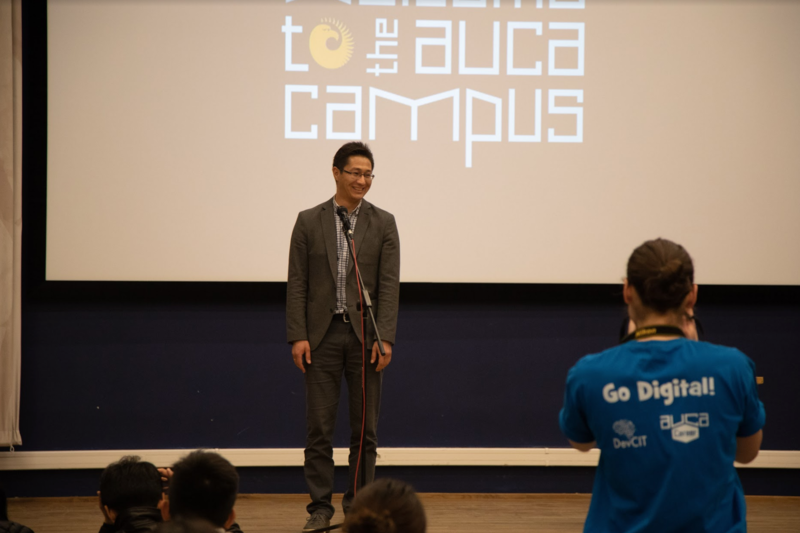 The event organized by the AUCA Career Office, and the grand High Tech Fest by the DevCIT Training Center at AUCA. 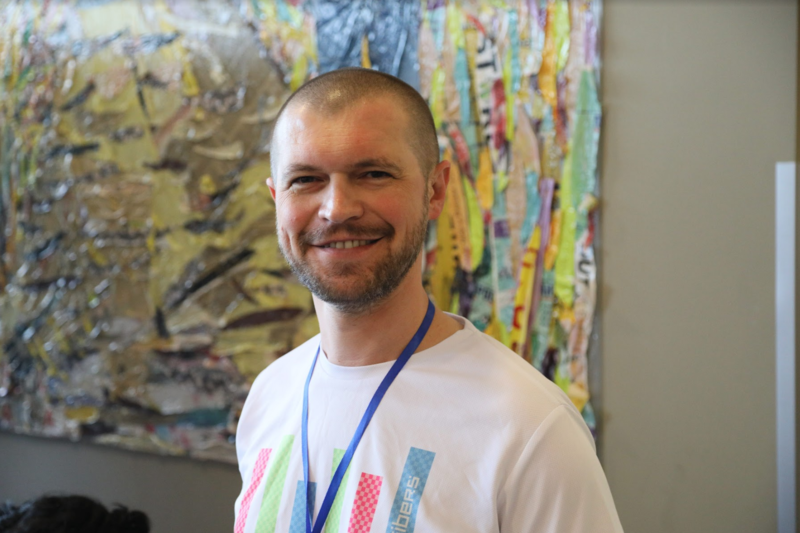 In addition, Tilek Mamutov spoke at the event, the one who worked for more than a decade in various job positions (including the project leader position) at Google (San Francisco, USA). 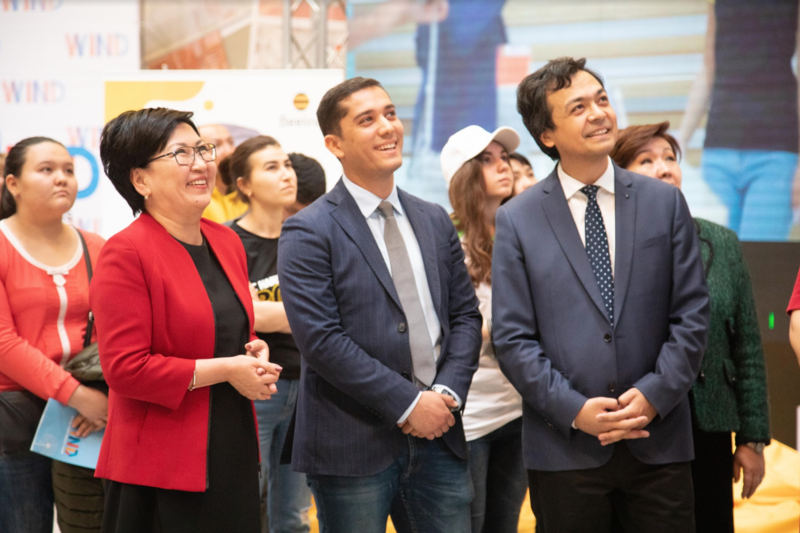 The representatives of the government of Uzbekistan, Olimjon Tuychiev, the Deputy Minister of Innovative Development, and Akbarkhon Sobirhonov, Deputy Director of the Scientific and Practical Center for the Implementation of Innovative Developments visited a Career Fair. 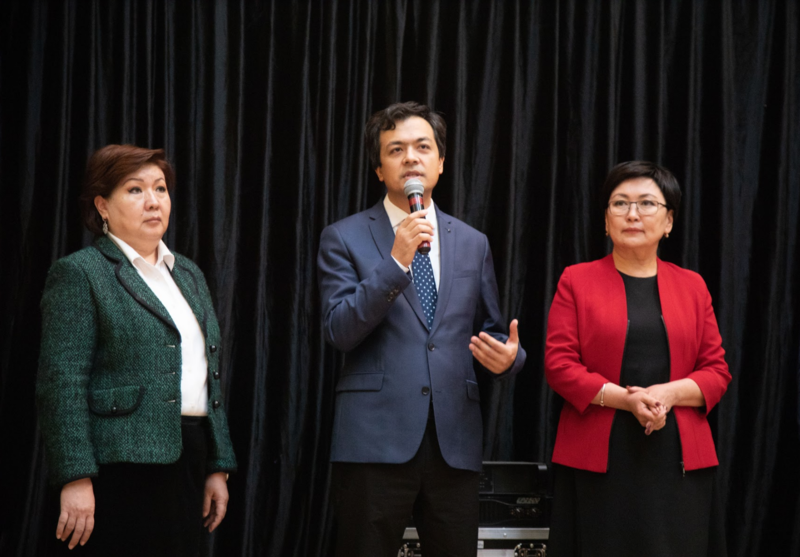 Minister of Education and Science of Kyrgyzstan Gulmira Kudaiberdieva, her deputy Kudaiberdi Kozhobekov, and Chinara Adamkulova, the rector of the Diplomatic Academy of the Ministry of Foreign Affairs took part at the event. 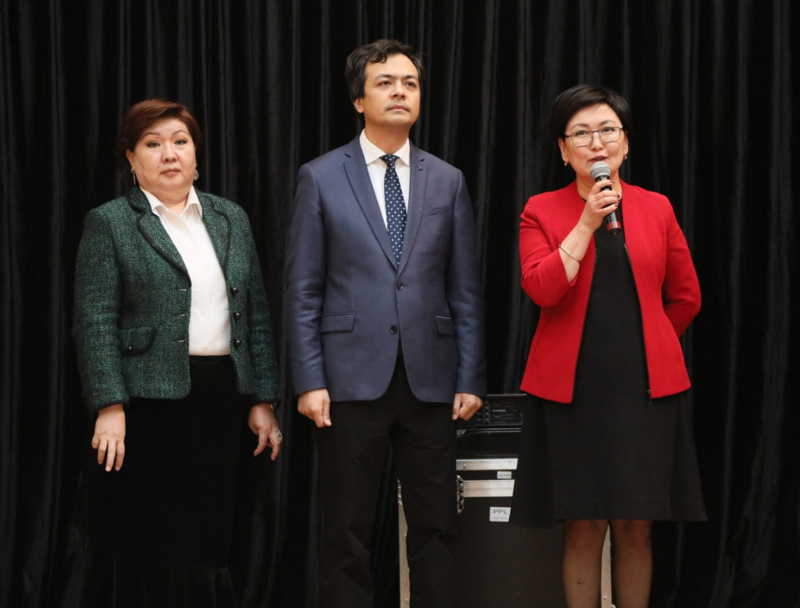 The event was opened by the Minister of Education and Science of the Kyrgyz Republic, stressing that the main goal of the education system is, first of all, to train highly qualified specialists and maintain communication with the labor market. 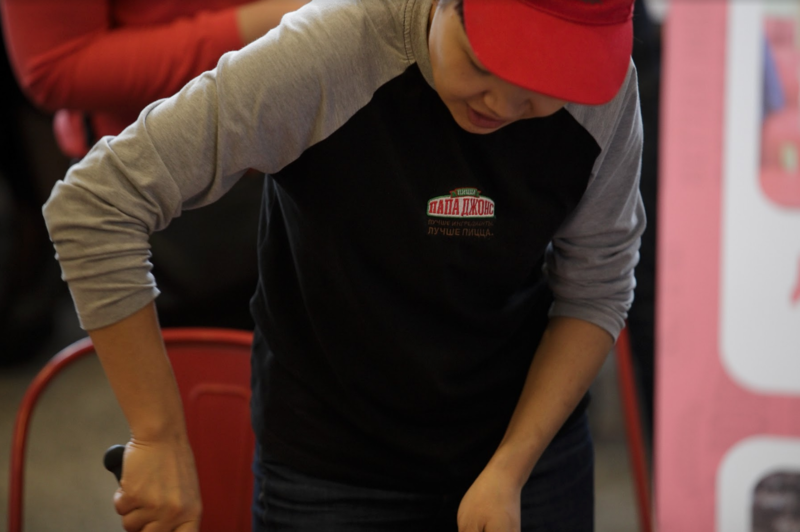 “The organization of such events carries great importance for employers, the teaching field, and students. 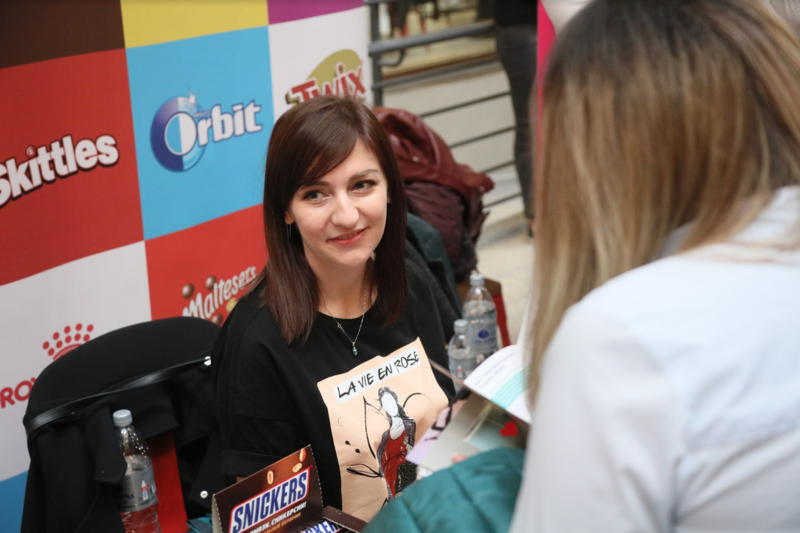 I want to thank the university administration for organizing Career Fair at such a high level, and I want to welcome our employers. 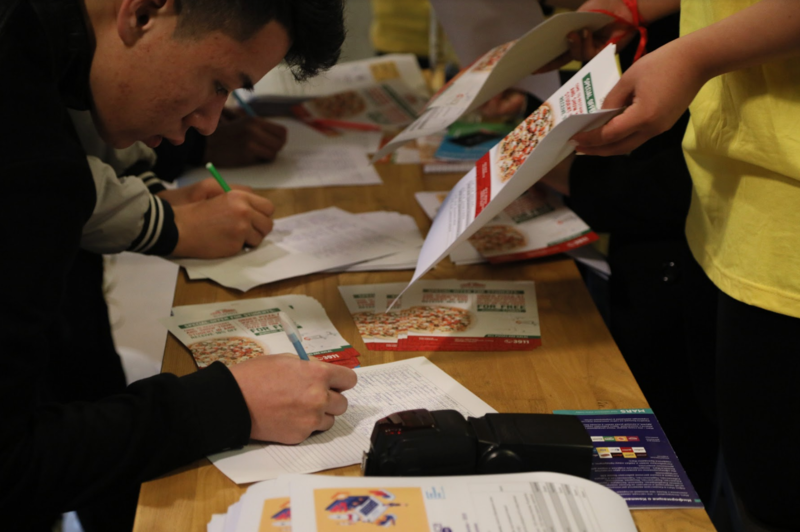 The fact that cooperation with the educational institutions is organized in such a format today is very important. 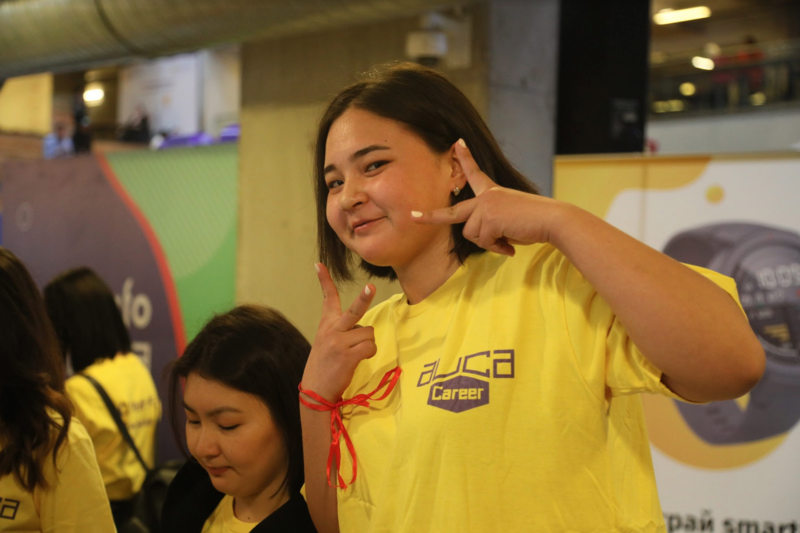 And I want to greet our young people, perhaps this platform will become for you the construction of the first stage of success and career,” addressed Gulmira Kudaiberdieva. 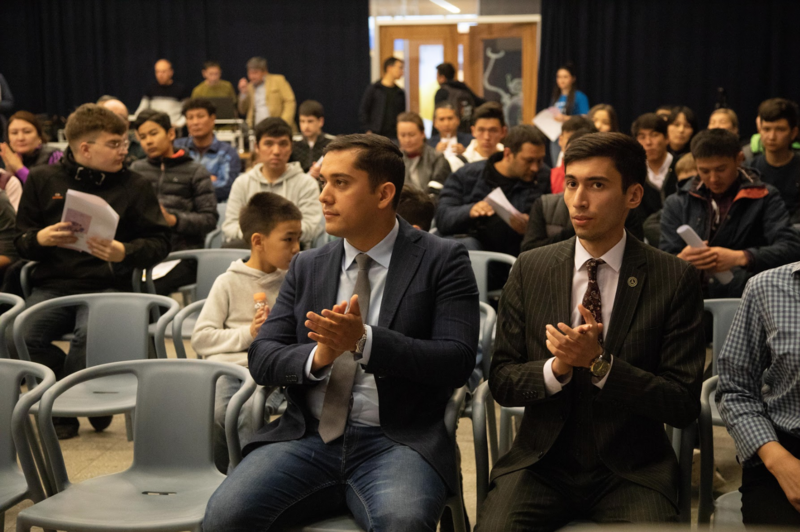 AUCA Vice-President Chingiz Shamshiev welcomed the guests and participants of the event. 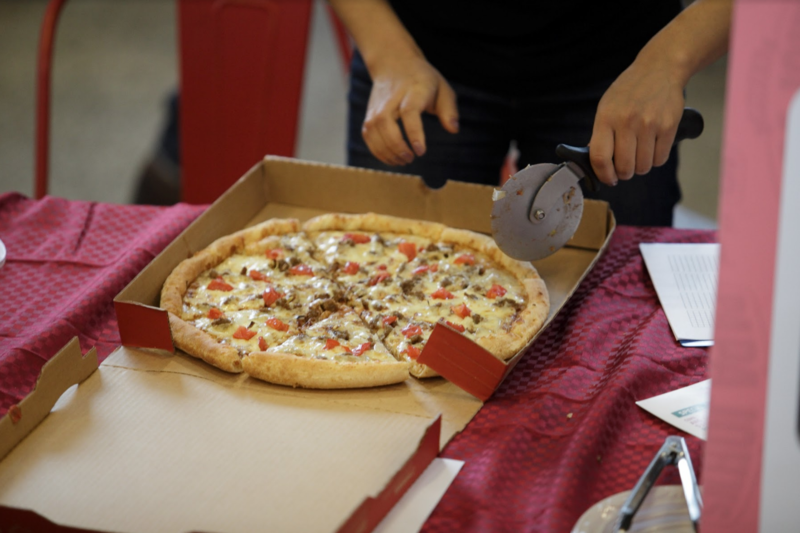 “Dear guests and friends, thank you very much for being with us today. 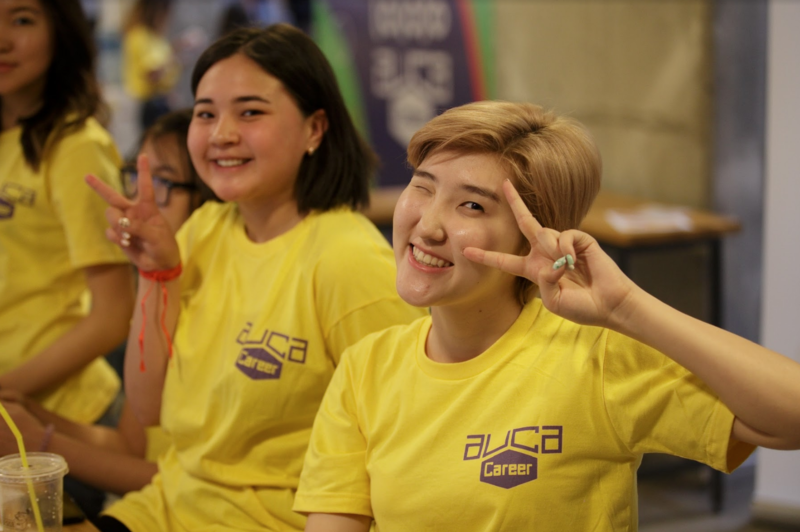 Career Fair has been held at AUCA for the fourth year. 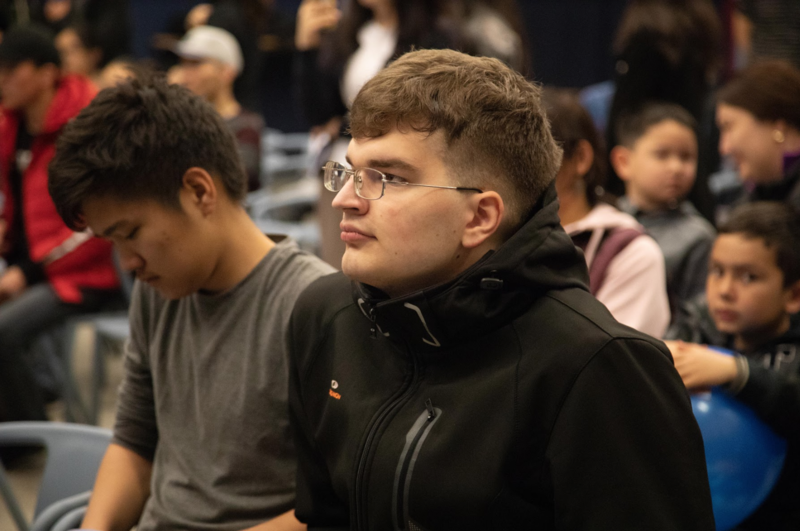 For us, this is an important event, because it is open absolutely for everyone. 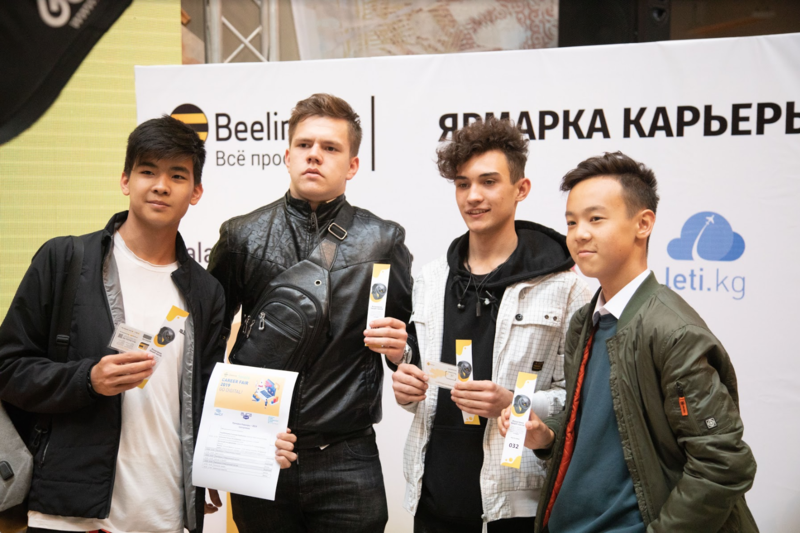 Today, any young person can come here to familiarize himself with the proposals that exist in our and regional markets, ” said Mr. Shamshiev, thanking the companies taking part at the event, all visitors and participants of the official opening. 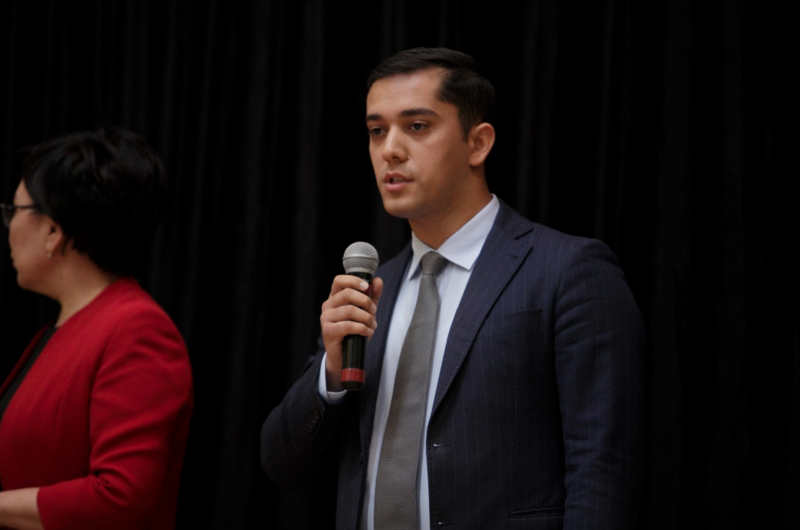 Olimjon Tuychiev, Deputy Head of the Ministry of Innovation of Uzbekistan, said a few words. 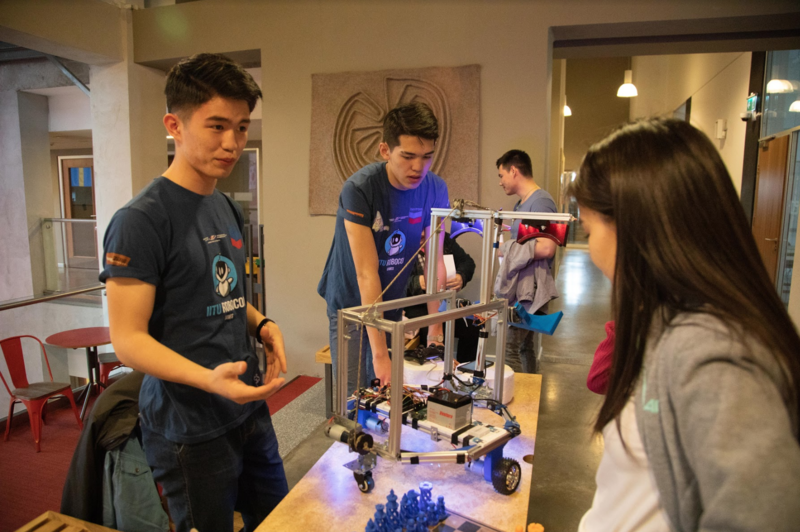 He came to the event at the invitation of the DevCIT Training Center to attend the High-Tech Fest, where innovative engineering developments and projects were presented. “It is a great honor for me to attend this event today. 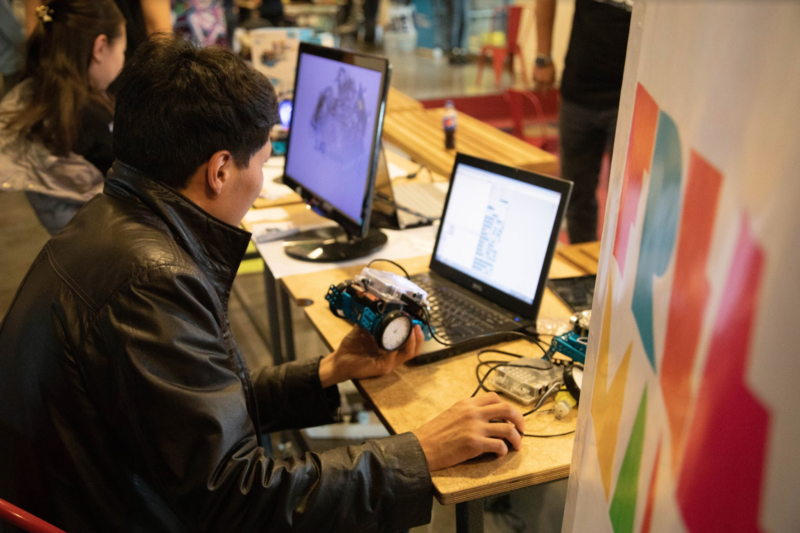 It is impossible to imagine the development of the country without innovative projects, and especially without projects of our youth. 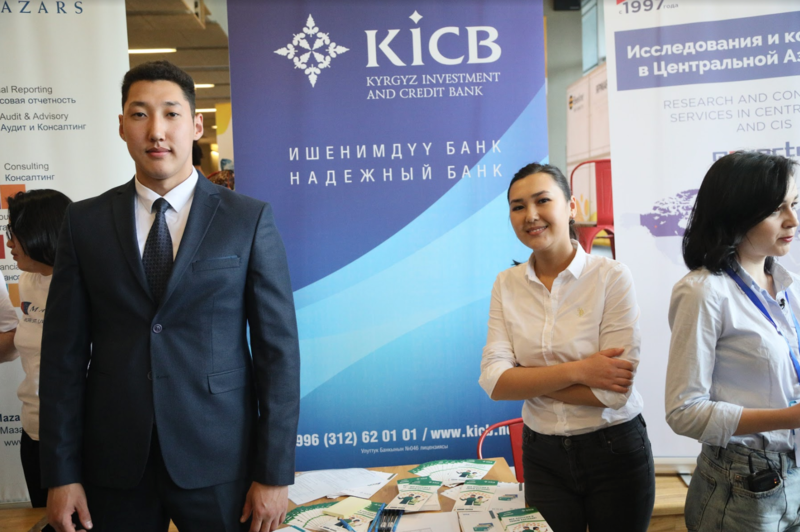 That is why we have great opportunities for cooperation between Uzbekistan and Kyrgyzstan. 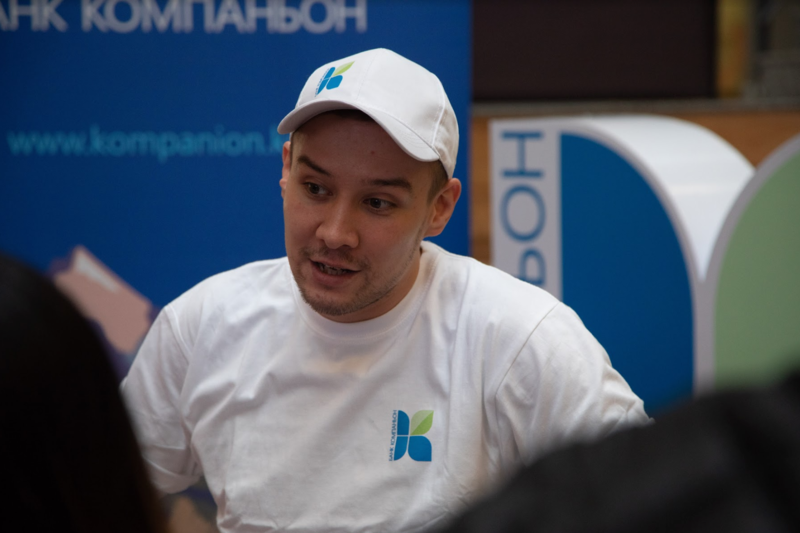 And we will be happy to use these opportunities, ” addressed Mr. Tuychiev to the participants of the event. 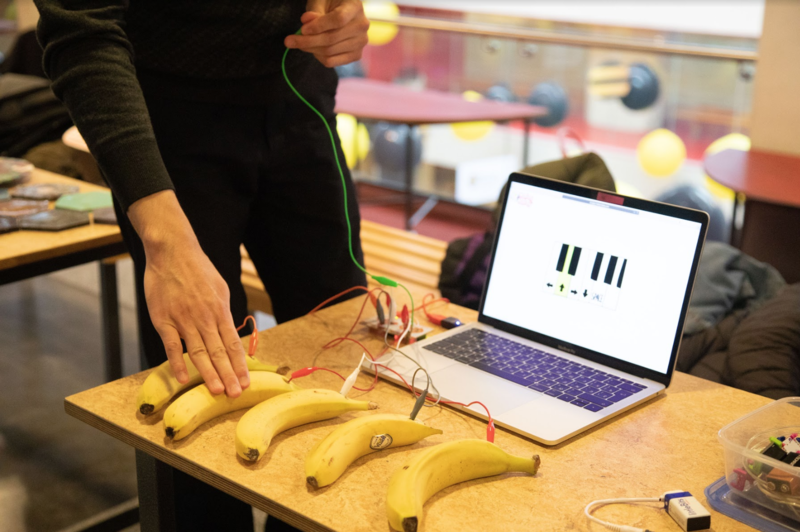 On this note, the event has been started. 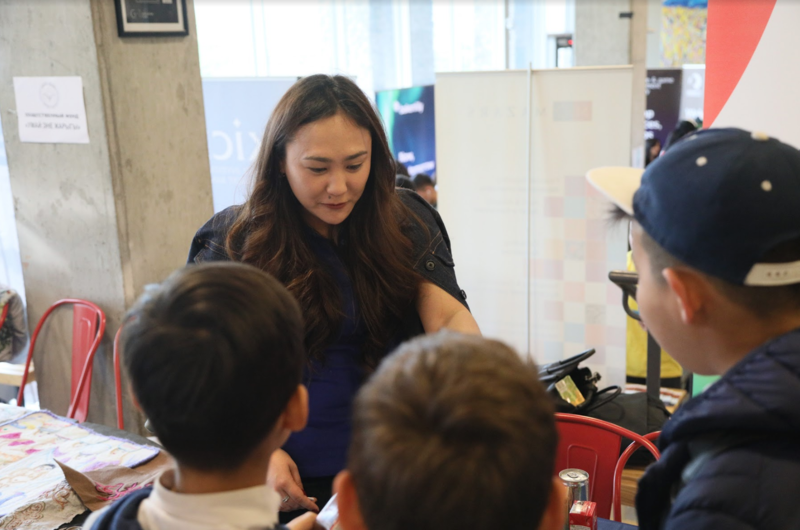 Over the next four hours, hundreds of guests, mostly young boys and girls, had the opportunity to familiarize themselves with the stands of the companies represented at the Fair. 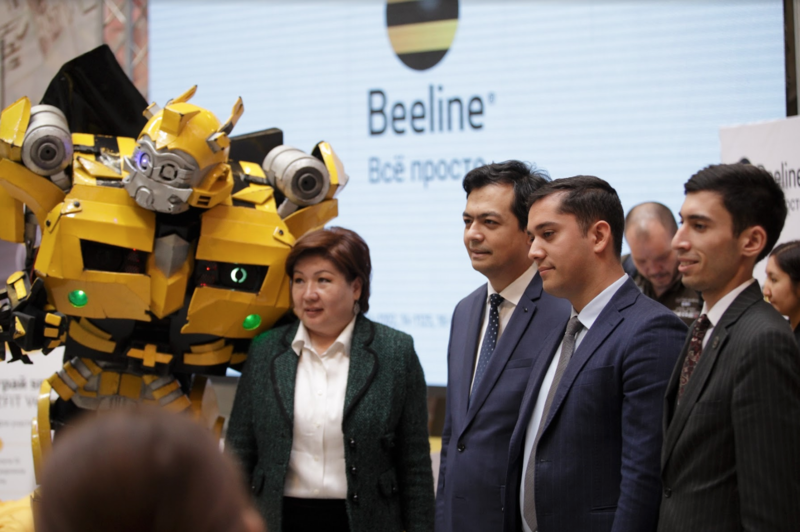 Special attention was attracted by the stands of the three main sponsors of the event: Beeline (cellular company), Lalafo and WIND (online sales service, a full cycle human resource management agency): photo zone, LED screen, incendiary music, a huge robot and, of course, benevolent and friendly representatives of the companies, ready to introduce and explain to everyone interested how to get a job and build a career were. 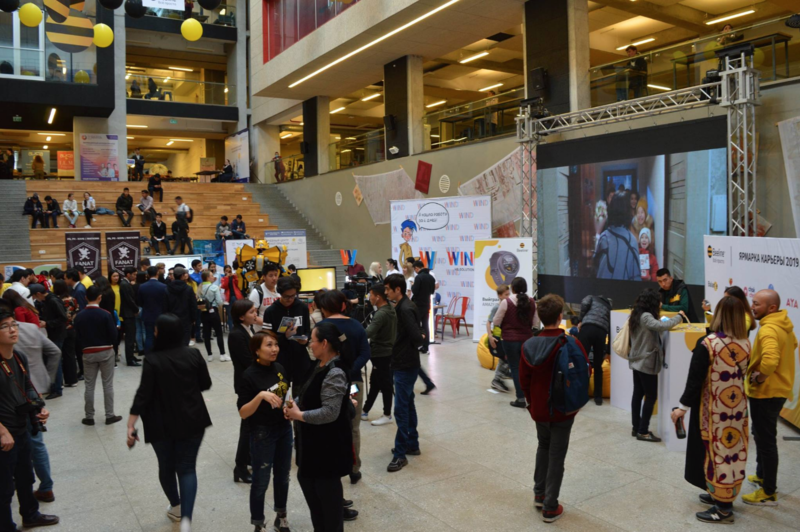 More than fifty stands of companies that took part in the Fair were distributed over three floors of the AUCA campus. 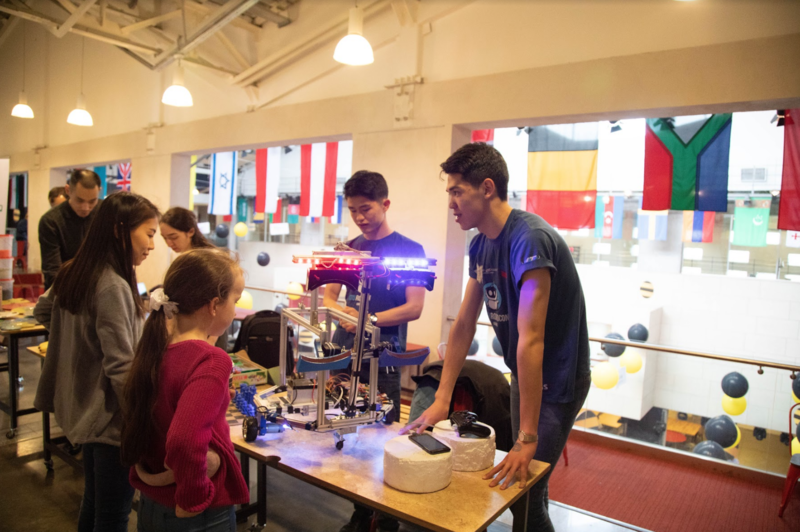 Meanwhile, on the fourth, floor, the High-Tech Fest 2019, which was devoted to the latest developments in various areas of technology such as robotics, ecology, design, animation, engineering, and much more, was gaining momentum. 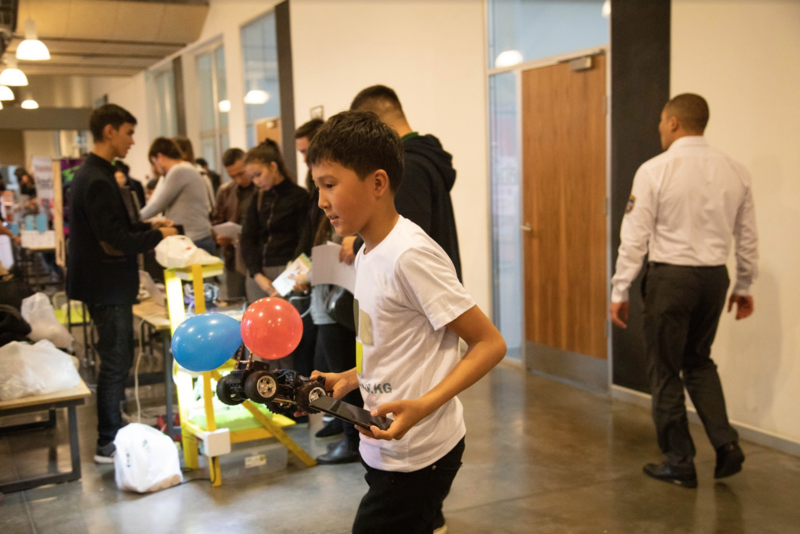 There was an exhibition of robotics schools projects, the Kazakh and Kyrgyz divisions of the American Corners and Centers organization, and at a nearby location, visitors could watch and listen to speeches by speakers from Bishkek, Almaty, and Tashkent. 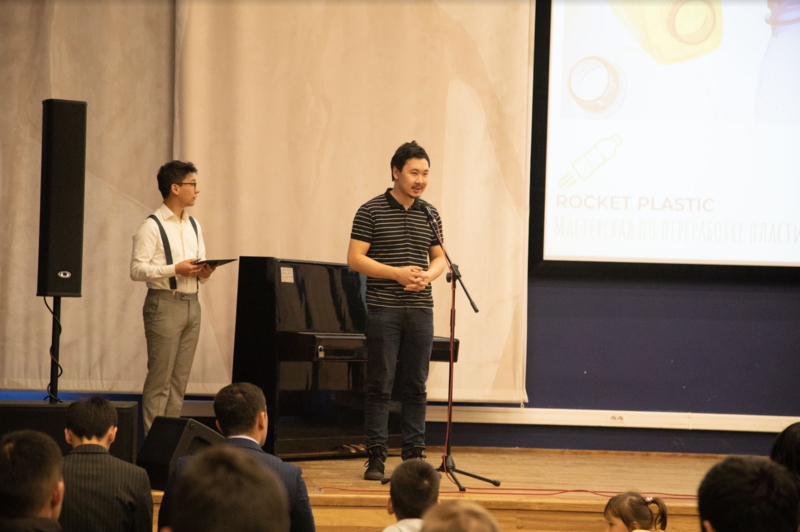 In addition to the previously mentioned Tilek Mamutov, Steel Drake, the famous industrial designer from Bishkek also had a speech, the founder of the Rocket Plastic plastic recycling project in Almaty, Daniyar Bakimov, and many others. 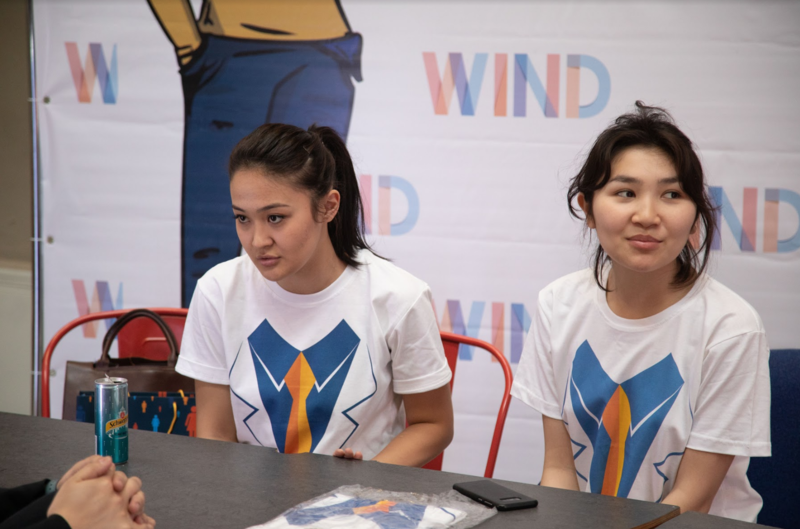 There was a meeting of the leaders of the TechCentralAsia project (Nur-Sultan, Kazakhstan) with the visitors, ready to share their start-up and development technologies for start-ups in Central Asia. 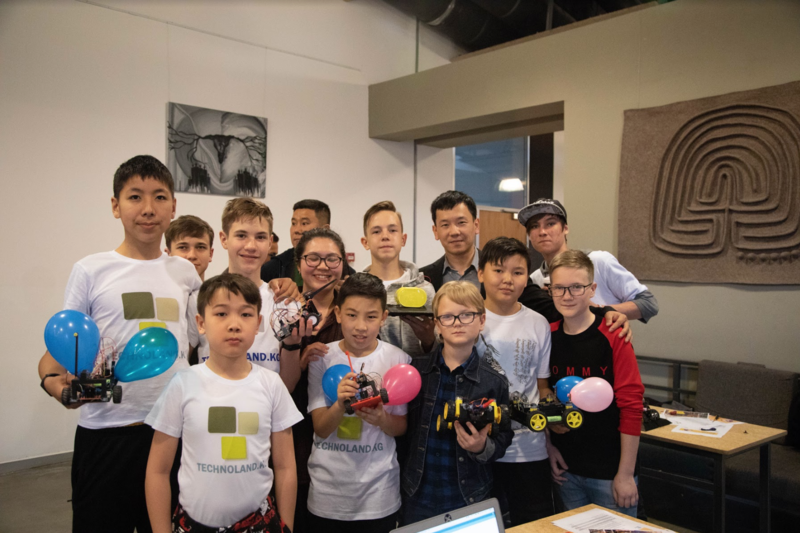 Organizers of High Tech Fest provided the entertainment for many children: DevCIT held presentations of its new courses for high school students Introduction to Game Development and Smart Home and passed exciting competitions and robot fights with the assistance of the Federation of Robotics of Kyrgyzstan.